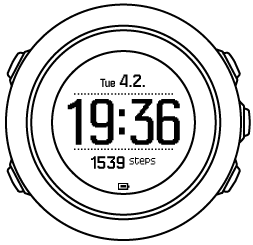 Suunto Traverse measures your daily steps and estimates calories burned during the day based on your personal settings. 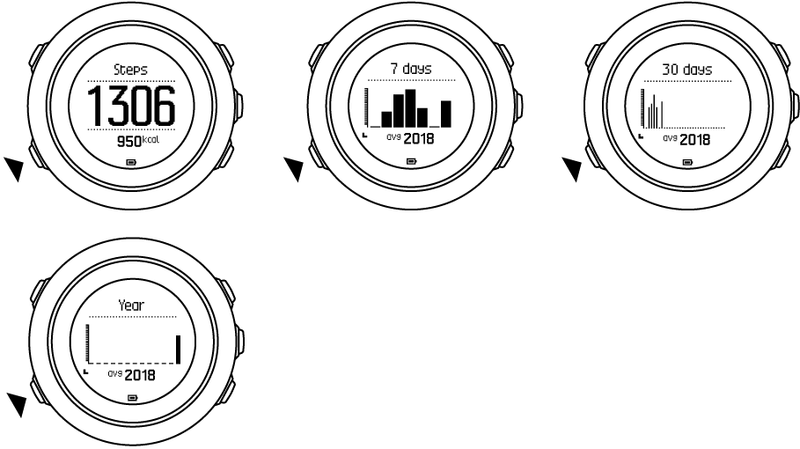 Suunto Traverse provides a complete history of your step count. 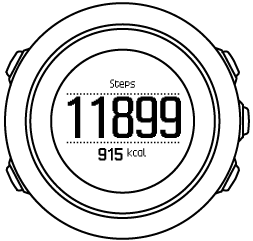 The step display shows your daily steps, as well as an overview of weekly, monthly and yearly trends. You can show/hide the step display from the start menu under DISPLAYS » Steps. When activated, you can view your step history by pressing NEXT to scroll through active displays.